We all hear about the various whisky and spirits competitions around the place (it seems there's a new one every week), but what about a competition that we, the average punter (or blogger) can get involved with? 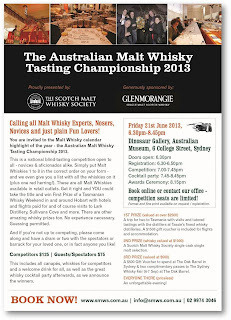 The Scotch Malt Whisky Society in Australia are the Aussie branch of the global Scotch Malt Whisky Society, best known for releasing incredible single cask drams from almost every distillery you can imagine (they don't name the distillery but it's easy enough to work out), with names such as "Milano salami and a tropical fruit kebab" and "Pregnancy tea mix". 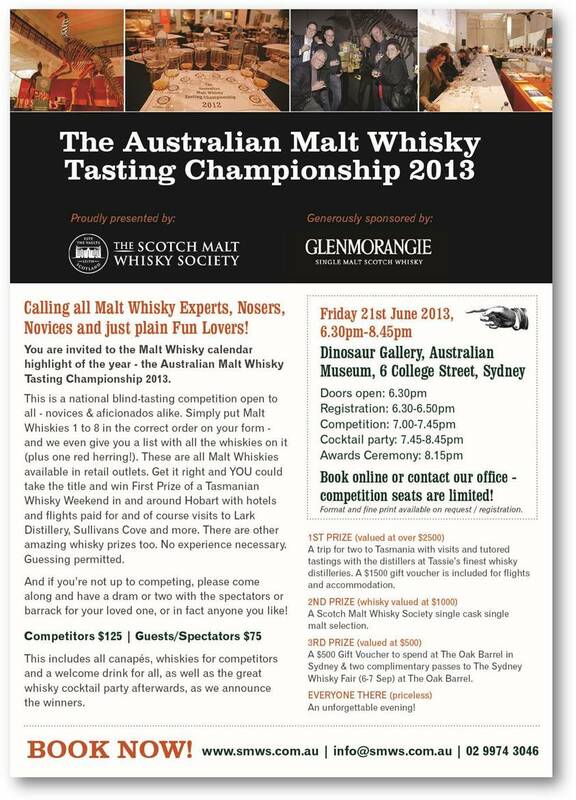 Competitor entry is $125, spectator entry is $75 (both including a cocktail party afterwards), and there are prizes for the winners (a trip to Tasmania, whiskies, SMWS tasting events). While I'm pretty much guaranteed to not win any of these, I've signed up as a competitor. Why not?Sounds like fun.